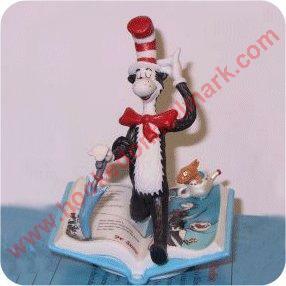 The Hallmark Dr Seuss Collection of figurines was premiered in 2000 and the collection ended in 2001. Rainy Day Games is a porcelain numbered limited edition figurine featuring the legendary Cat in the Hat. The figurine features the open "book" as the base. Adorable!